As we have said in the past, if you don't have too much presence online to begin with, it can be very overwhelming for a business owner to get started with online marketing and social media. Google Places doesn't make it any easier on business owner in getting to know what options they have to show off their business to the surrounding community. When Google+ first came along, many companies made "profiles" on Google+ in addition to their Google Place listing, in hopes to get the name of their company out into the public. Now Google+ for Business and Google Places have the ability to make things a bit more clearer, kinda. There is a distinct difference between the two types of listings which can be described in greater detail here, but we have some simple explanations in the differences in the types of listings that are available through Google. Google Places: Is a basic listing that is usually already uploaded through Google's local listings. It will usually involve your business location, phone number, and address. This will show up for local searches in your area for you types of businesses. You have the ability to verify your listing my mail or phone which will help your credibility when users are searching for you. 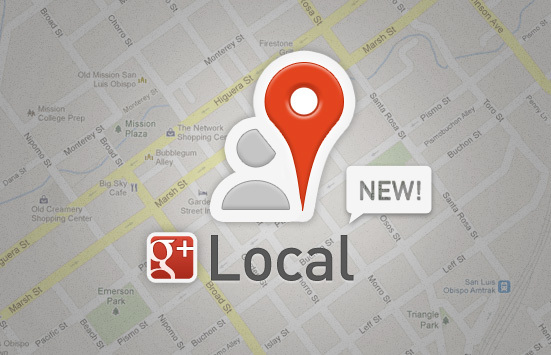 Google+ Local: This gives your business a little more opportunity to really show what kind of business you are and how you can differentiate yourself from the surrounding businesses. It has a social aspect to it, where you can interact with people and companies in their area and share more information like photos, updates, and more. You have full control of this listing. Best Part of Google Places & Google+ Local Together?? You can combine them together. You can take the opportunity to combine the best of both worlds of your listings. With your verified Google Places listing, you can merge it with your Google+ Local page and really take advantage of the reach Google allows you to receive as a local business. By combining these different pages, it will make life a lot easier on your management of the two of them by editing your company information together and posting your updates all in the same place. You can send customers and clients to your listing which will have your basic information, directions, reviews, photos, and more. Built To Optimize Can Do That! Using Google for your local business shouldn't be overwhelming and complicated. Built To Optimize can help you complete your merge for your Google Pages and other social media pages. By providing North New Jersey businesses the resources and simple solutions for their social media goals, Built To Optimize is determined to make your online marketing easier and more effective. For more information about combining these two pages and the specific differences in them, be sure to check out this blog post for more details.